We are thrilled and honored to have been invited to perform on the Main Stage at the Berkeley Festival, in the company of such esteemed early music groups as Vox Luminis from Belgium, renowned medieval ensemble Sequentia, New York City’s Quicksilver, and the Bay Area’s own Voices of Music. We will perform a program of sublime music by Marc-Antoine Charpentier, with a consort of viols and flutes, on June 3. 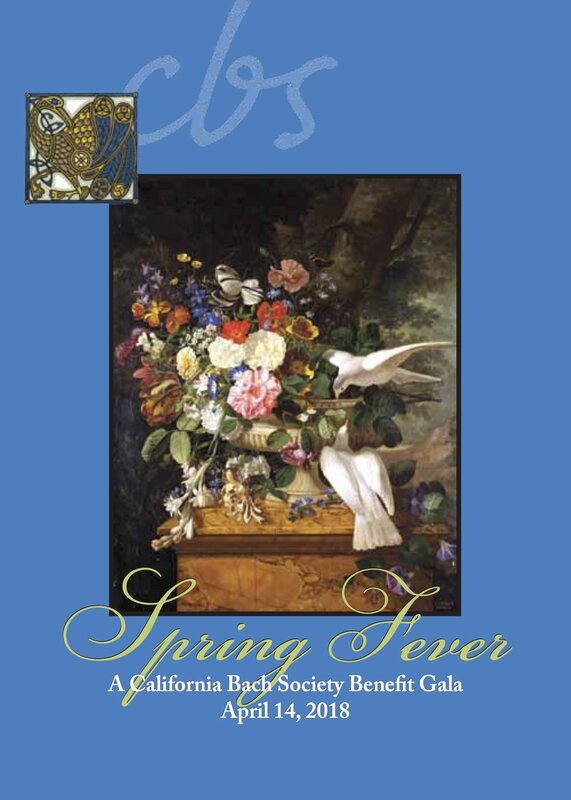 As ticket income covers only a portion of the cost of such a performance, we invite you to a special benefit concert on April 14. Enjoy glorious music in the sanctuary of St. Mark’s Episcopal Church, site of our concert at the Festival. Afterwards, join us for delicious appetizers and sparkling wines in the adjoining hall. Proceeds will benefit CBS’s Berkeley Festival appearance. Tickets will be sold at the door; $50 per person.